Pardon me as I step on my soapbox. Today, I am excited to announce my first, truly editorial piece on CivilEats.com which explores salt policy and the state of the American palate. You may be shocked to hear me say this, but here’s the truth: for most people, salt has a place in the kitchen. True, there is a large population of people who, for health reasons, must shake the shaker – myself included. Over 75 million Americans over the age of twenty are currently diagnosed with hypertension. For a great percentage of this group – as well as those who suffer from chronic kidney disease (20 million people over the age of 20), Meniere’s disease (615,000 people currently diagnosed), cirrhosis, diabetes (over 23 million people), and heart failure (670,000 diagnosed each year) – reducing salt has palpable health benefits. Recently, however, we are realizing that the population mentioned above is not the only one that must pay attention to the over-salted state of consumer goods (which account for over 75% of people’s daily sodium intake). It was reported that on average, Americans consume 3,436mg of sodium a day, almost 50% more than the recommended 2,300 mg allotment. Which means most people are eating way beyond the healthy limit, salt levels are truly a public concern, and everyone can safely stand to cut back. 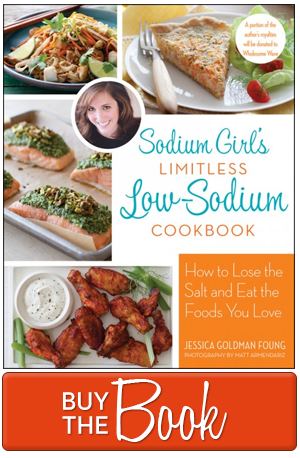 Judging from the rise of obesity in America, low sodium diets will continue to become increasingly more important. Currently, 60% of Americans over the age of 20 are overweight and one third of children are currently diagnosed as obese or overweight – an epidemic of giant proportions. This ever-growing population is at increased risk for diabetes, stroke, and you guessed it, cardiovascular disease and hypertension – conditions that all require low sodium diets. So as obesity rates rise, so will the number of people (young and old) who need to cut salt from their food. But even with all these daunting statistics in front of us, I must still stand by my first statement: for most people, salt has a place in the kitchen. When used thoughtfully, salt has amazing flavor enhancing abilities – this fact is not up for debate. And let me be so brave as to say that salt is not the main offender in the over-salted food issue. And more importantly, it is not the answer – perhaps it was the singular focus on this one ingredient that created the over-salted state in the first place. We will not be able to successfully reduce the salt in prepared foods by simply removing or replicating the flavor provided by salt. It is unique flavor, unlike any other, and what our consumer palates have become accustomed to is a large, overpowering amount of it. We do not crave the taste of food enhanced by salt, but the salt itself. 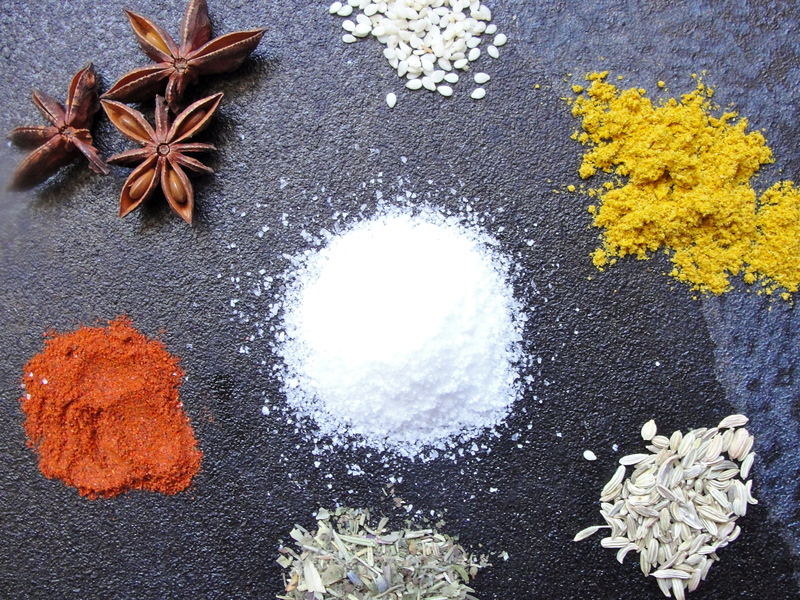 Seasoning has become synonymous with salt. Food critiques bash dishes when there is not enough flavor (or salt). And TV celebrity chefs dump handfuls of the crystals on their ingredients before, during, and after cooking. When did our palates become so monotonous? Clearly, salt is not the heart of the problem. Our definition of flavor is. Whether one is navigating a low sodium diet for health needs or trying to reduce sodium to drop to recommended levels, the switch is much easier when one focuses less on replacing the salt and more on discovering unique, new, interesting flavors. Play with anise, curry, fennel, and nutmeg. Or use different cooking techniques to coax the flavors from ripe produce, revealing a complexity that Mother Nature already provides. Before reaching for the salt, release the pepper of mizuna or arugula, the natural salinity in celery or crayfish, and the savory tastes of browned meat. Salt and even its flavor enhancing powers are not necessary when the food and an array of spices are the stars – a lesson for home cooks and industry insiders alike. If we came to love the over-salted flavor of today’s products, we can also re-learn to appreciate the taste of roasted pepper or the tang of vinegars. 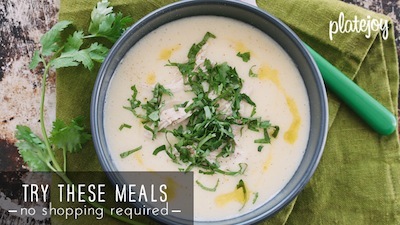 With aggressive seasoning, fresh ingredients, and thoughtful cooking techniques one can create low sodium meals that retain flavor and exhibit more creativity, diversity, and (gasp) nutritional value than their saltier counterparts. The sodium levels in our daily diets will easily fall and there will be room for a few sprinkles of the stuff at the table, if one even needs it. Once we redefine flavor, salt will no longer be such a hotly debated issue and our food (and our palates) will actually become more adventurous and more refined. And our healthcare will be back in our own hands. Beautifully said, SG, and huge congrats on the article; I’ll check it out. It took me a long time to adjust to a salt free existence, but now that I’ve kicked the habit, I find some foods actually have more favor – not less. TRUE, some things will always taste bland without the added “boost” of salt. But others shine in its absence. I’m thinking particular of golden (yellow) potatoes. Most are beyond boring w/out salt, but that one mighty spud absolutely sings solo. I’d LOVE for you to come up with a recipe to showcase that — knowing your talents you’d pair them with something fantastic, or truly unusual. Thank you dishy! I’m on the spud challenge.